Any little one of yours will be considered a newborn till the time he/she is atleast 3 months old. You will also notice that in the first three months, your little one’s sleep pattern will not be even remotely close to your own sleeping pattern. You see, newborns don’t tend to follow our typical day/night sleep pattern and usually sleep in short bursts from 30 to 45 mins to even 3 or 4 hours. In the gap between the sleeping pattern, the little one wakes up to eat! You might even discover that your little one is sleepier in the first two weeks of being born and sometimes it might happen that even during feeding he/she might drift off before having had his/her share! Don’t worry this is quite normal! However after the third week, you will have to stay on your toes constantly as by now your baby is comparatively more awake now. You might also just start missing those early weeks of having a really sleepy baby since from now on, you will end up getting lesser sleep! It would be a good idea now to try adjusting your sleep pattern according to your little one! 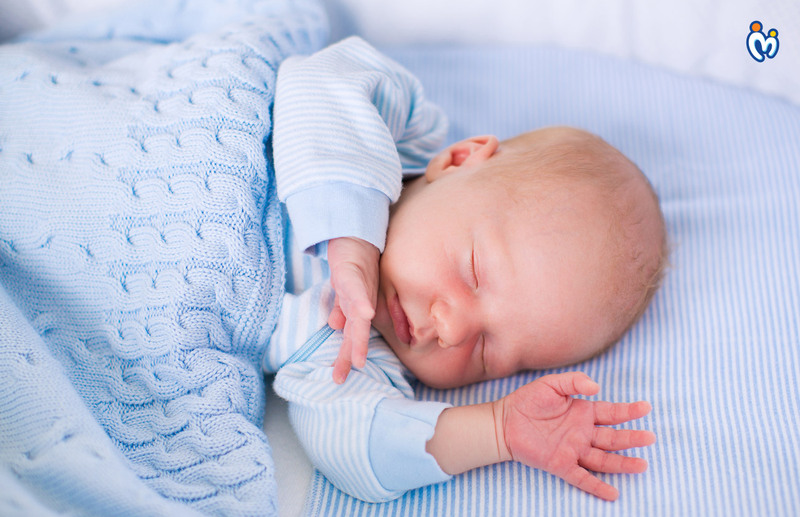 Start by observing when your baby falls asleep and how long he/she sleeps for. Try to sleep when the little one is sleeping and wake up when you hear him/her crying! This will not only help you monitor your baby better, but will also make sure that you also do not lose out on your sleep! Newborns need to be fed constantly and If you are worried about the frequency with which the little one is feeding, then don’t even think about it much! This is perfectly normal! As your baby’s tummy is quite small at this time, the need to feed little by little frequently is justified! In the beginning, it is the best if you feed your little one on demand atleast for the first few weeks of birth. In the first 1 year of life your little one, you will need to nurse atleast every 2-3 hours in a day. All you have to do is remember that both a well-established sleep pattern and a feeding pattern is important for your little one’s overall development, but at the same time, you also need to remember to take care of your sleeping pattern as well, in order to be able to take care of the little one better!